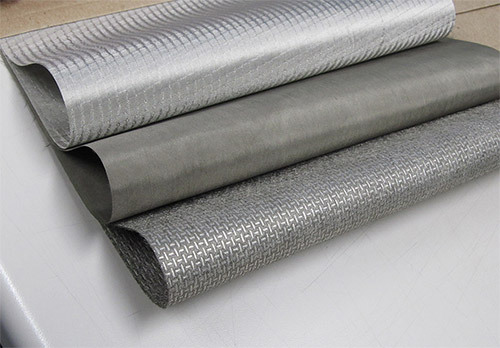 For over five decades, Swift Textile Metalizing LLC has been proudly offering conductive fabrics for customers in a range of industries. We provide designing, prototyping, testing, and the research and development of custom products for a number of applications. Proprietary technologies and methods are utilized to produce conductive fabrics including woven, knit, non-woven fabrics, hook and loop, and metalized paper. Coatings are available in silver, nickel, and copper, with sheet sizes from .5" to 80" and resistance levels up to 1.8 Ohms/sq. Our products boast a number of beneficial characteristics including flexibility, durability, electromagnetic reflection, resistance to corrosion, anti-static, anti-bacterial, reflective and ultra low out gassing properties. Customers in such industries as medical, aerospace, military, apparel, and telecommunications among many others trust our services for their demanding applications. Typical products include shielded gloves, shielded wallpaper, reflective components, shielded enclosures, and shielded bags to name a few. Our myriad capabilities encompass tape slitting, laminating, sewing, ultrasonic cutting, ultrasonic bending, and dimensional cutting, along with printing, calendaring, and the production of fasteners and grommets. An onsite specialty production shop handles prototype to high volume production, with flexible turnaround times. We maintain a culture of quality, upholding stringent industry standards. Swift Textile Metalizing maintains AS9100D & ISO 9001:2015 certified status. As a defense contractor, we comply with ITAR, International Traffic in Arms Regulations. For more details about our conductive fabrics or other available capabilities please see the table below or contact us directly.